A tutorial with detailed information on how to share access to your Squarespace dashboard and why you might need to do it. It’s not an easy thing to run your own website. One day you realize it’s just impossible to do it alone and you need someone’s help. You may think of making a team so that they take care of your growing business, or there could be situations when you cannot make the installing or fix the issue yourself. Anyhow, you might need to share the access and we will show you an easy way how to do it. There are several types of permissions you can provide a contributor with. Site owner – there’s only one Site Owner, typically the account that created the site. Site Owners can manage all content and settings. They can also transfer the permission to a different account, which might happen if a designer creates a site for a client, or if someone new within an organization starts managing web content. Administrator – has full permission to access everything on the website. Administrators can do almost everything the Site Owner can do, except change the site ownership. 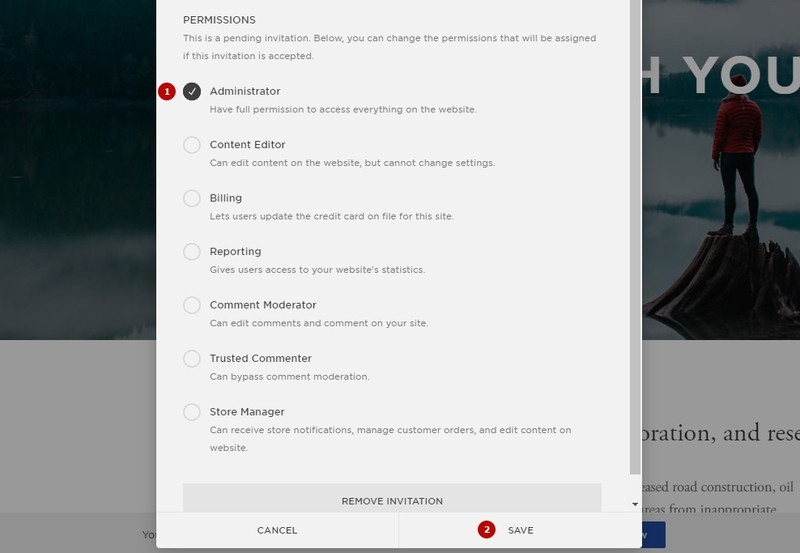 This is a good permission level for collaborators who need full access to your site. 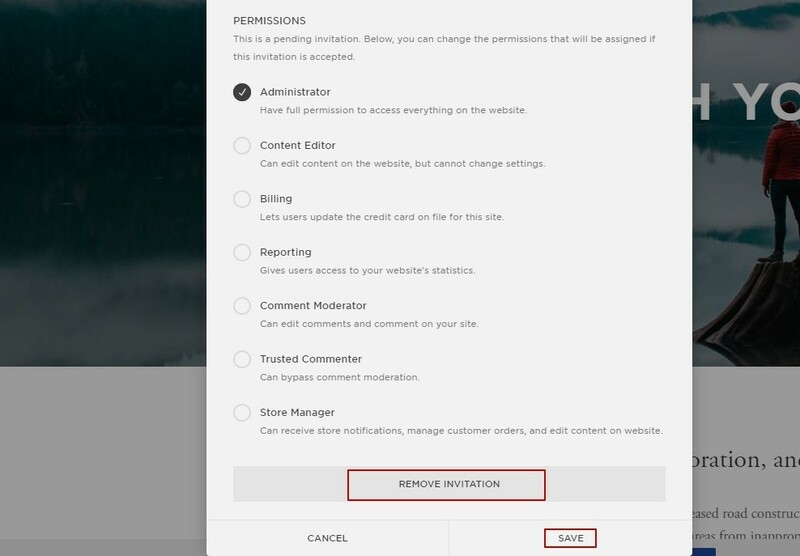 Content Editor – can edit content on the website, but cannot change settings. Billing – lets users update the credit card on file for this site. Reporting – gives users access to your website’s statistics. Comment Moderator – can edit comments and comment on your site. Trusted Commenter – can bypass comment moderation. Store Manager – can receive store notifications, manage customer orders, and edit content on website. There some simple steps of sending an invitation to a contributor. 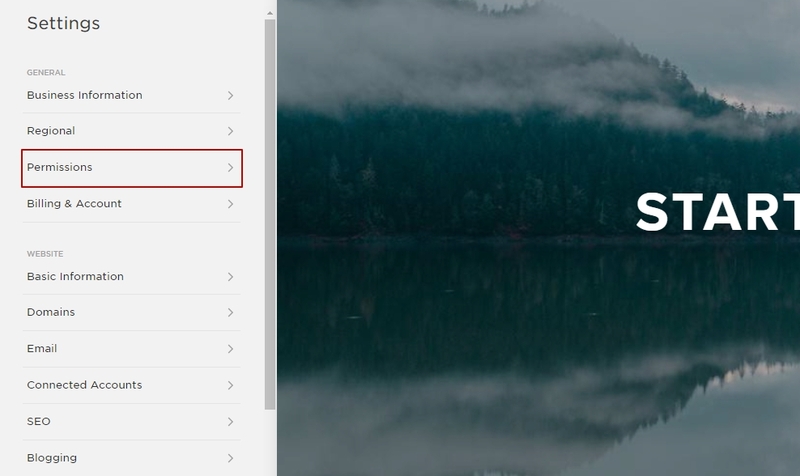 Login to your Squarespace admin panel and select Settings. Fill in Invite information fields – name and email of the person you invite. In case you need our help, the email you need is support@elfisght.com. In the Permissions section choose the positions you want to share with a contributor. If you need our help, choose the Administrator role and press save button. You will see a notification that the invitation has been sent. However, in case you made a mistake in choosing permissions or just changed your mind you may make changes before they accept your invitation. Click the contributor’s name and make the changes you need or remove the invitation. If a contributor didn’t receive the invitation you sent, advise them checking the spam folder or searching no-reply@squarespace.com . If it doesn’t help, you may send the invitation link. Click the contributor’s name in the Invite Sent field and copy the invitation link. Now you may send it to a contributor via email. 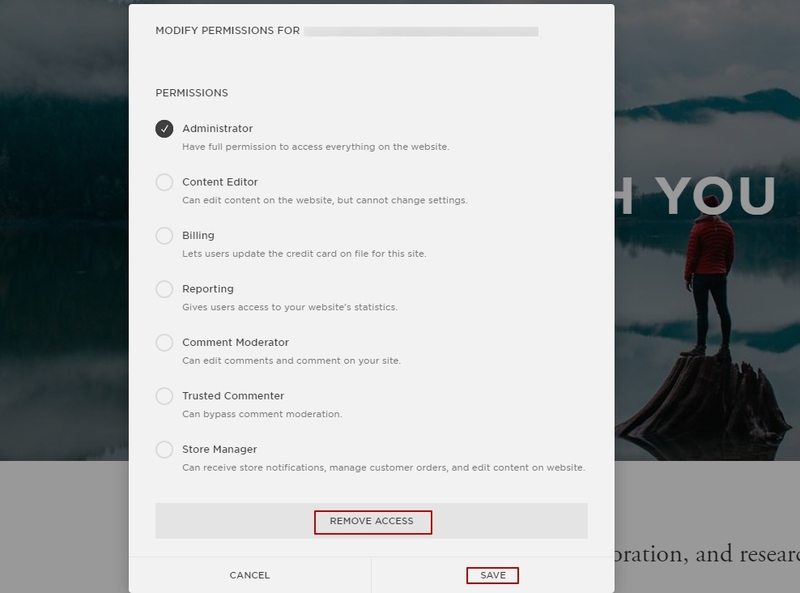 When access is no longer needed, click the contributor’s name in the Contributors with Permissions field and press Remove access. The safe question is rather difficult and doesn’t have a direct answer. Sharing the access means letting someone see your personal information. However, if you were asked by our development team to give temporary access to your admin dashboard we assure you there is nothing you should worry about. Your fears are quite clear to us and we do care about our users’ safety. We are highly careful with our customers’ websites and take precautions against any possible lost data.